Yesterday I posted about my journey of hiring a student pastor. I’ll say right now that I’m incredibly grateful to have someone coming in to take the reigns. I’m not sure I was built for Student Ministry. Ha! It’s a different animal all together for sure. However, I did want to write a little about what I experienced this last year. 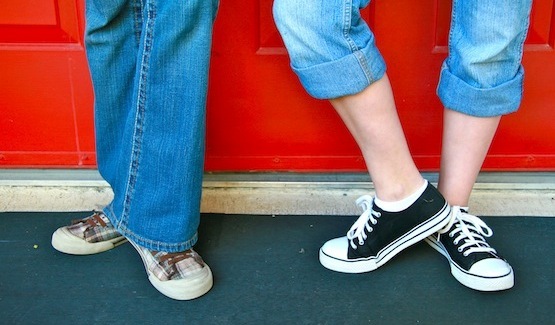 Children’s Ministry and Student Ministry seem to be worlds apart most of the time and I think it’s incredibly important that they become a little more in sync. So I hope to write about some of the things I’ve learned for everyone’s benefit. Well, only about 2 months into my role in leading the student ministry here at Gateway, I learned that Student Ministry is far more like Kidmin than I thought. Sure, there are significant differences in the way that ministry is carried out in the lives of teenagers, but at the core of the ministry, the structure and strategy, the two can be nearly identical. However, I think that this is where things fall apart. 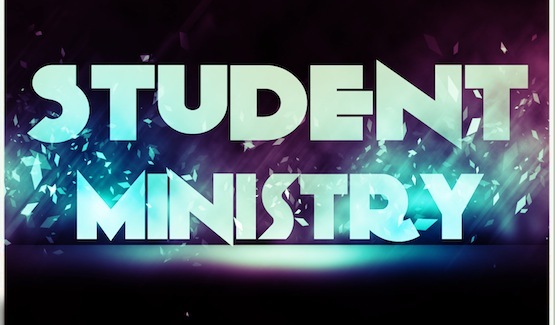 I’m connected to many Student Pastors, NextGen Pastors and Senior Pastors who lead Student Pastors and something I hear A LOT is that a student ministry has become larger that the Student Pastor can handle. The affected Student Pastor is fervently requesting more staff to gain relief but higher leadership doesn’t believe that more staff is the answer… which usually causes more frustration. Again, this is my humble opinion, but if more Student Ministries were led like Chidlren’s Ministries, this situation wouldn’t be as much of an issue. Let me explain. In many Student Ministries, the Student Pastor is able to be at or lead every event/gathering/service where young people are involved… and so they do. In Children’s Ministry, it is physically impossible for the Children’s Pastor to be in every classroom/venue/event. Every Sunday at Gateway, we have 15-20 rooms where ministry is happening and the Children’s Pastor MUST rely on their ability to develop and empower leaders to implement all aspects of ministry. I led my second ministry opportunity of 400 children with just me and one other full time staff person and that’s a fairly common staff situation. What I’ve seen in many Student Ministry programs is a lack of strong volunteer leadership. Don’t get me wrong, I find some of the most committed and tenacious volunteers giving tens of hours each week to ministry. However, I see totally fried Student Pastors trying to care for and lead all of these volunteers by themselves in addition to their speaking responsibilities, event planning and other duties. What seems to be missing is an organizational structure (similar to what Jethro suggested to Moses) that allows ministry to scale. In the last year, I’ve tried to implement some of this structure. I only have 10-15 hours a week to invest in student ministry but I’ve seen some success in the areas where I’ve provided structure. I set some goals to raise up 3 volunteer leaders over the last 6 months… leaders who were primarily responsible to lead leaders/volunteers, not students. It looks like I might end the 6 month period with four. I’ve got one leader who is ready, but just needs to recruit some new leaders/volunteer to serve under them. The change hasn’t been without pain though, in the end I’ll probably lose some volunteers… but the reality is that I can meet with 2 leaders who represent 7-10 volunteers and almost 40 students… and that little segment of volunteers/students is one of the healthiest and most cared for in the ministry at the moment. So, that’s just one observation I’ve made. Tomorrow, I’ll share about something in Student Ministry that has probably frustrated the most, but it is what I totally respect most about Student Pastors after this year-long adventure.